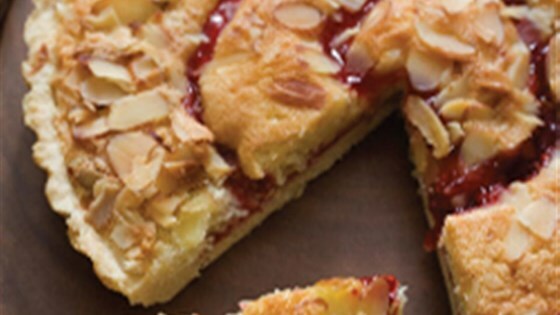 "Pear slices and cranberries baked in a tart shell are topped with a sweet almond streusel." Heat oven to 375 degrees F. Roll crust to 11 inches. Fit in bottom and up side of 9-inch tart pan with removable bottom. Trim around edge. Bake 5 to 8 minutes or until beginning to brown. With back of wooden spoon, gently press out any bubbles. It was simple and easy to make, I made my own pie crust for it. It was delicious.